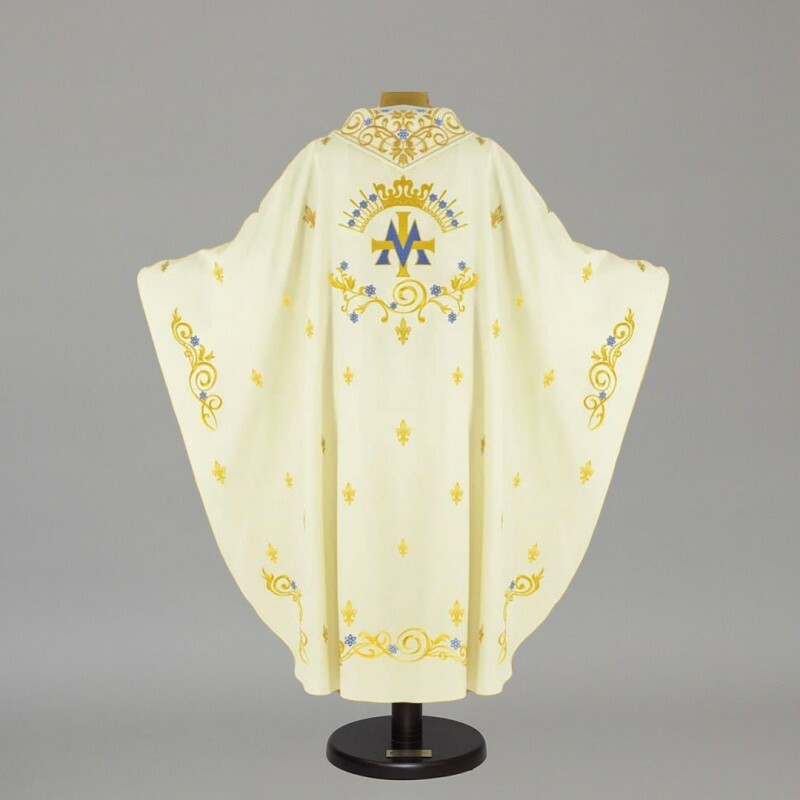 Gothic chasuble made from a lightweight, breathable fabric. Decorated with fine embroidery and finished with an elegant trim. Supplied with a matching stole.